And I can’t get it out of my head for some reason. I can relate to that song and I can relate to the way Ben Bridwell sings it. He seems like the right man for the job – he takes his time and he sounds like the kind of character that knows what he’s singing about. And he keeps up the good vs. evil motif with “Am I a Good Man?” a few tracks later. 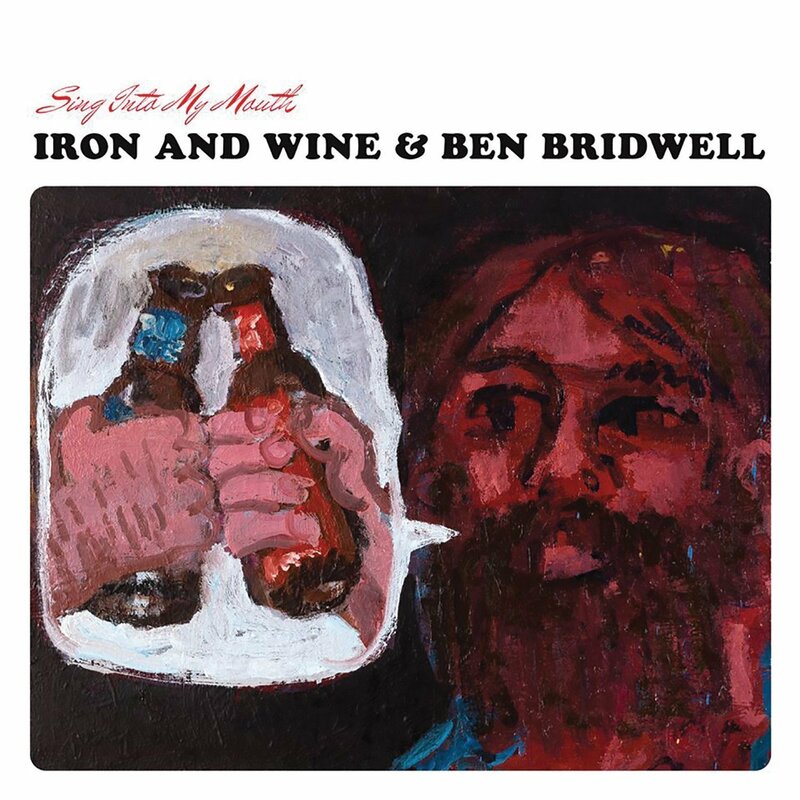 And speaking of being a man, in looking at Bridwell’s whole contribution here, it appears that in some sense he plays the man part of this collaborative covers album and Sam Beam (Iron & Wine) plays the woman part. The two singers trade off tracks, with half of the total tracks going to each of them. Bridwell sings “Am I a Good Man?” by the obscure sixties soul duo Them Two, while Beam takes on “Bonnie Raitt’s “Any Day Woman.” Half of Beam’s tracks on the album are by female singer/songwriters. All of Bridwell’s are by dudes. Not that there’s anything wrong with that, as they say on Seinfeld, and actually this kind of balancing act of musical sensibilities is one reason SING INTO MY MOUTH works well. Bridwell plays the rough-hewn vagabond with the more rustic vocals, singing about stuff like insecurity and isolation and loss, while evoking a sense of having been around the block a number of times and not being much better for the trips. Beam plays the sensitive and bearded hippie with the gentler vocals, singing about love and feelings, and he seems to get the lion’s share of the studio effects on his tracks. Ironically, I normally prefer just the opposite with these two guys, in the sense that Ben Bridwell sounds better with the type of reverb and studio effects that were dripping from his first three Band Of Horses albums, while Beam sounds best alone with an acoustic guitar and a cassette recorder in his bedroom. Some may lament the lack of original songs and signature sounds from these two bands. I think I did at first. But take this one for what it is – a fun little collaborative covers album between two musical friends letting their hair down together, so to speak. If you’re already familiar with any of these songs though, you may be at a disadvantage. You may end up suffering from what I’ll call the “musical comparison conundrum,” where one struggles to overcome one’s predisposition to prefer whichever version of a song one hears first. But being the ignorant musical twit that I am, I hadn’t heard a single one of these songs before. I was able to enjoy these versions for what they are, and then listen to the originals later, which enhanced my appreciation of the songs. But of course I think I preferred Iron and Wine & Ben Bridwell’s versions on every one – meaning that in the end, the above-described conundrum may have gotten me after all. And basically, my dear music appreciators, what I’m trying to say with all of this blather is that SING INTO MY MOUTH is a groovy, laid-back listening experience that’s worth repeating again and again. Buy it, and perhaps you’ll get some lyrics stuck in your head like I did. This entry was posted in Album Reviews, Music New Releases 2015, You Tube Song Samples and tagged Album Reviews, Amazon.com review, Ben Bridwell, Constant Listener, Dear Music Appreciators, Easy Street Records review, Iron and Wine, Music New Releases 2015, No Way Out of Here, Sing Into My Mouth on August 1, 2015 by Constant Listener.